Angel Care is nationally recognized by Community Health Accreditation Partner (CHAP) and Home Care Alliance of Massachusetts. 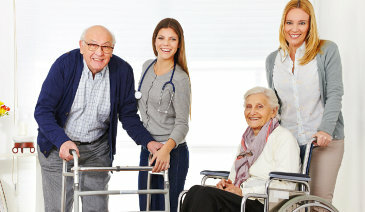 We are proudly providing medical treatments and staffing services. With us, every patient is highly valued. Let our staff members provide you with the right care and support. This type of care is often sought out to enable safe, independent living at home. Who can benefit from GAFC (Group Adult Foster Care) services? Call us toll free at 888-98-ANGEL (26435) to learn how we can help. Contact Information For more detailed information, reach out to us!